Ready for the hunt? These girls used their buckets as hats while they waited to hunt eggs. Dalis Sellers was dressed in her bunny outfit for the Easter Egg Hunt. Children participating in the hunt also registered for prizes which included books and stuffed animals. Door prizes were set out on to be given away to the children. The 1-4 age group was the first to hunt eggs. Children in the 1-4 age group, with the assistance of their parents, collected eggs. The 9-12 age group was the final group to hunt eggs. To make the hunt a little more difficult for the older kids eggs were hidden in trees and bushes. Children quickly gathered the eggs from the library lawn. A large group gathered for the annual Easter Egg Hunt at the Racine Library on Saturday morning. The younger children collected eggs during the library’s annual Easter Egg Hunt. Eggs were hidden in the trees, bushes, grass and any where else they could be to make the hunt more difficult for the older children. The 5-8 age group dashed for Easter Eggs on Saturday morning. The 9-12 age group awaits there chance to hunt eggs. 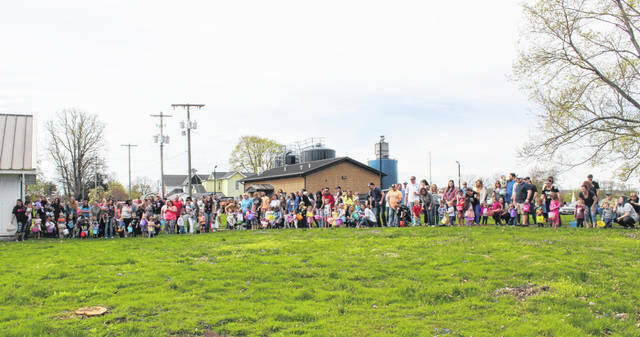 Children gathered several Easter Eggs during the hunt on Saturday in Racine. 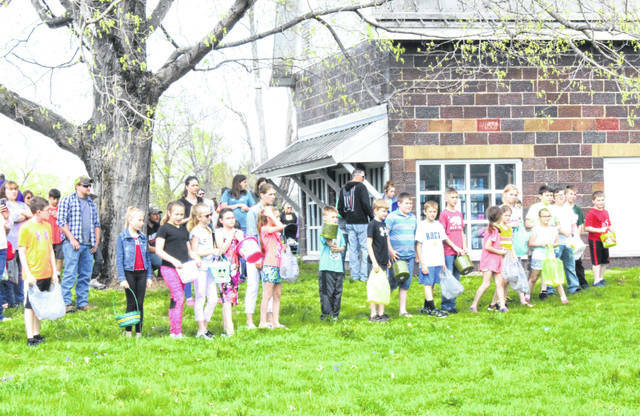 The 5-8 age group hunts eggs during the annual Easter Egg Hunt at the Racine Library. The 9-12 group hunts eggs during the annual Easter Egg Hunt at the Racine Library. The 5-8 age group waits for their turn to hunt eggs. https://www.mydailysentinel.com/wp-content/uploads/sites/14/2019/04/web1_4.16-Egg-Hunt-3_ne201941417132530.jpgReady for the hunt? 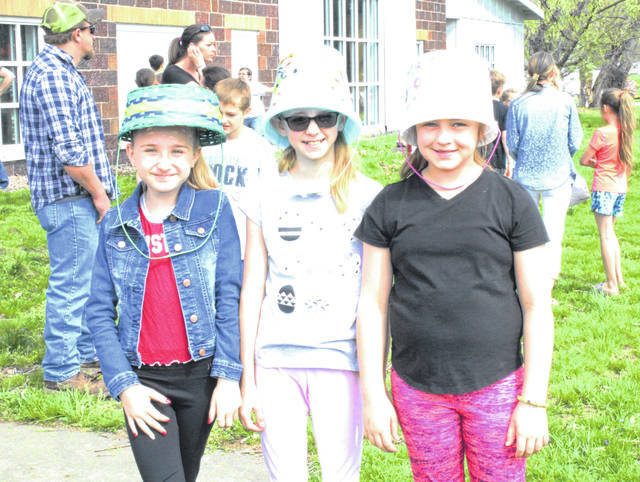 These girls used their buckets as hats while they waited to hunt eggs. 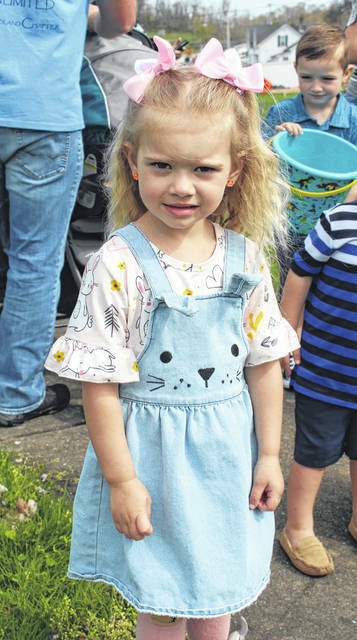 https://www.mydailysentinel.com/wp-content/uploads/sites/14/2019/04/web1_4.16-Egg-Hunt-4_ne201941417135131.jpgDalis Sellers was dressed in her bunny outfit for the Easter Egg Hunt. 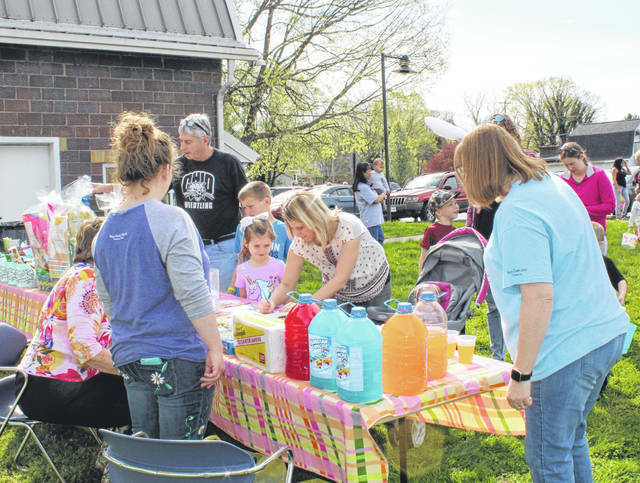 https://www.mydailysentinel.com/wp-content/uploads/sites/14/2019/04/web1_4.16-Egg-Hunt-5_ne201941417139913.jpgChildren participating in the hunt also registered for prizes which included books and stuffed animals. 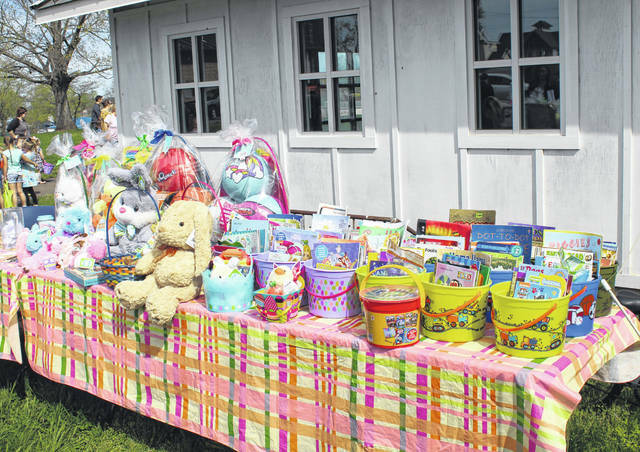 https://www.mydailysentinel.com/wp-content/uploads/sites/14/2019/04/web1_4.16-Egg-Hunt-6_ne201941417142731.jpgDoor prizes were set out on to be given away to the children. 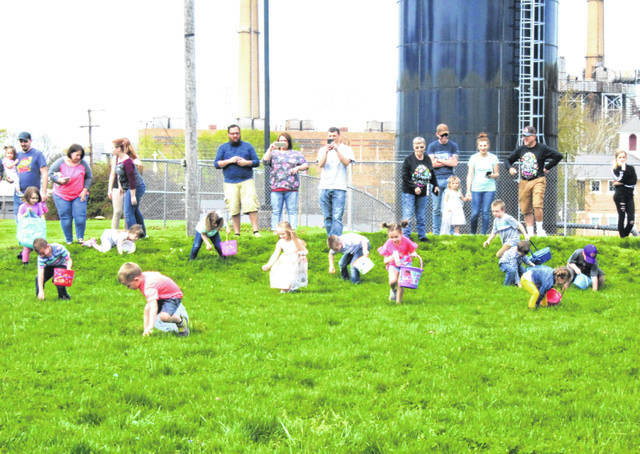 https://www.mydailysentinel.com/wp-content/uploads/sites/14/2019/04/web1_4.16-Egg-Hunt-7_ne201941417145464.jpgThe 1-4 age group was the first to hunt eggs. 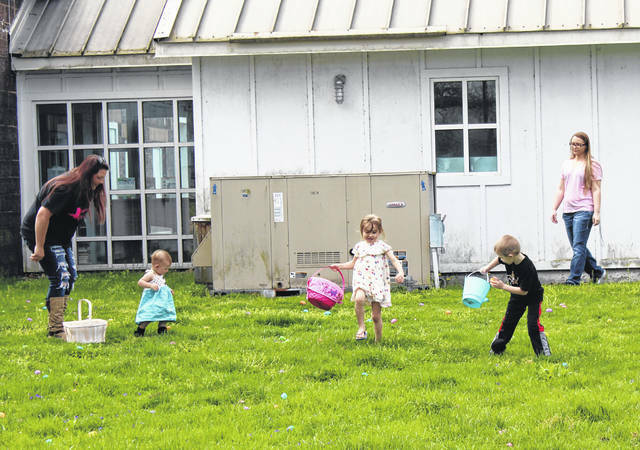 https://www.mydailysentinel.com/wp-content/uploads/sites/14/2019/04/web1_4.16-Egg-Hunt-8_ne201941417147960.jpgChildren in the 1-4 age group, with the assistance of their parents, collected eggs. 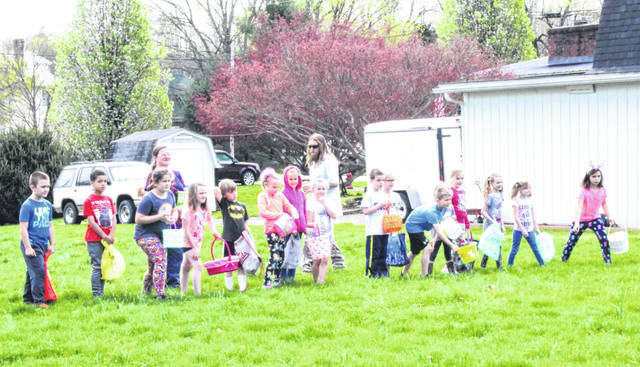 https://www.mydailysentinel.com/wp-content/uploads/sites/14/2019/04/web1_4.16-Egg-Hunt-9_ne201941417150528.jpgThe 9-12 age group was the final group to hunt eggs. https://www.mydailysentinel.com/wp-content/uploads/sites/14/2019/04/web1_4.16-Egg-Hunt-10_ne201941417153206.jpgTo make the hunt a little more difficult for the older kids eggs were hidden in trees and bushes. 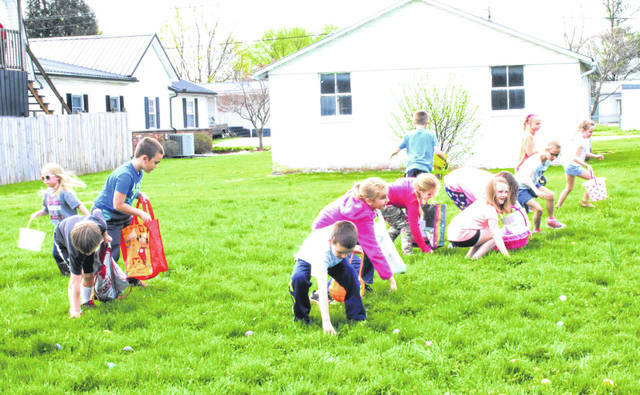 https://www.mydailysentinel.com/wp-content/uploads/sites/14/2019/04/web1_4.16-Egg-Hunt-11_ne201941417155951.jpgChildren quickly gathered the eggs from the library lawn. 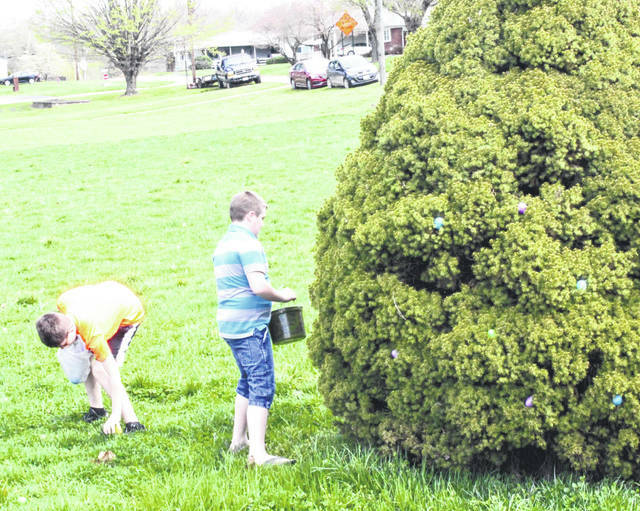 https://www.mydailysentinel.com/wp-content/uploads/sites/14/2019/04/web1_4.16-Egg-Hunt-12_ne201941417158601.jpgChildren quickly gathered the eggs from the library lawn. 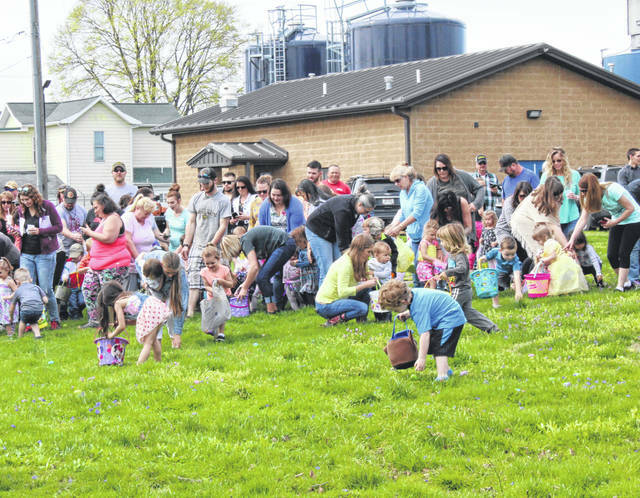 https://www.mydailysentinel.com/wp-content/uploads/sites/14/2019/04/web1_4.16-Egg-Hunt-13_ne2019414172111.jpgA large group gathered for the annual Easter Egg Hunt at the Racine Library on Saturday morning. 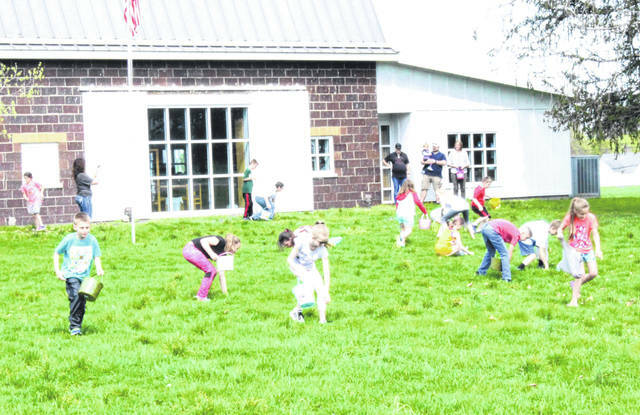 https://www.mydailysentinel.com/wp-content/uploads/sites/14/2019/04/web1_4.16-Egg-Hunt-14_ne20194141722964.jpgThe younger children collected eggs during the library’s annual Easter Egg Hunt. 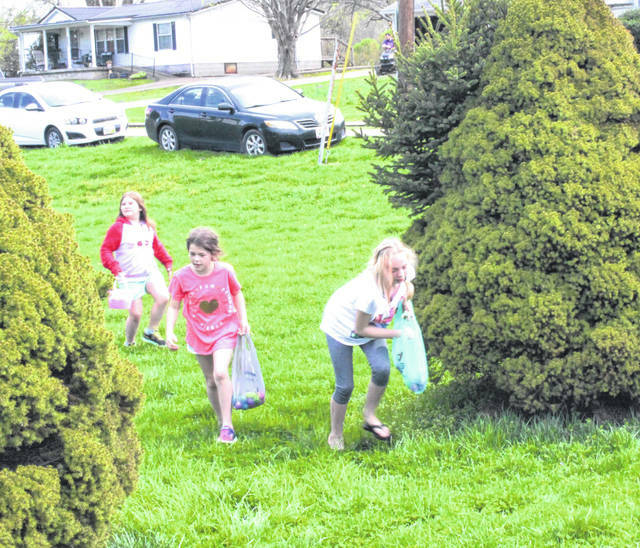 https://www.mydailysentinel.com/wp-content/uploads/sites/14/2019/04/web1_4.16-Egg-Hunt-15_ne20194141725541.jpgEggs were hidden in the trees, bushes, grass and any where else they could be to make the hunt more difficult for the older children. 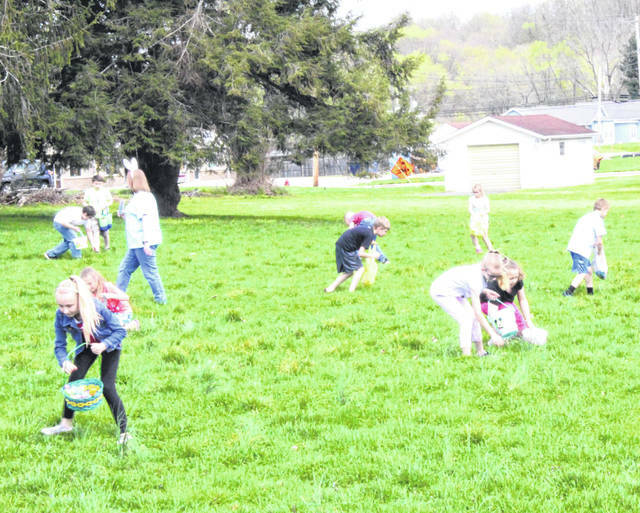 https://www.mydailysentinel.com/wp-content/uploads/sites/14/2019/04/web1_4.16-Egg-Hunt-16_ne20194141728228.jpgThe 5-8 age group dashed for Easter Eggs on Saturday morning. 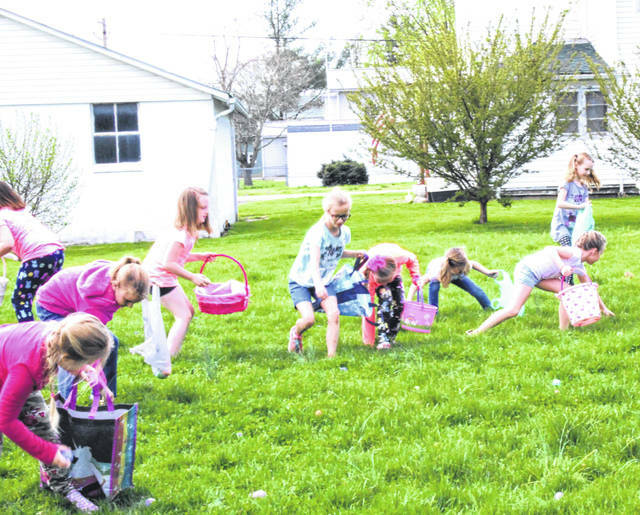 https://www.mydailysentinel.com/wp-content/uploads/sites/14/2019/04/web1_4.16-Egg-Hunt-17_ne201941417210494.jpgThe 9-12 age group awaits there chance to hunt eggs. 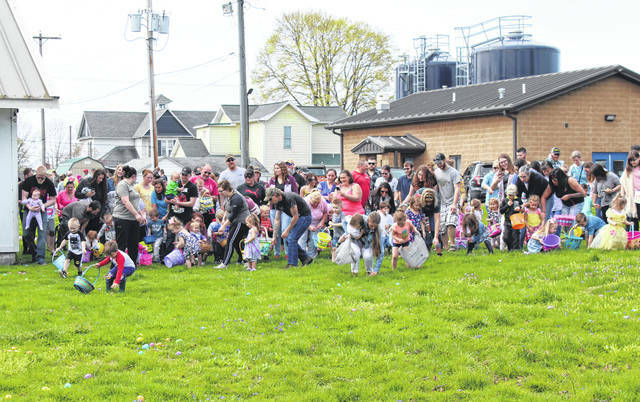 https://www.mydailysentinel.com/wp-content/uploads/sites/14/2019/04/web1_4.16-Egg-Hunt-18_ne201941417212701.jpgChildren gathered several Easter Eggs during the hunt on Saturday in Racine. 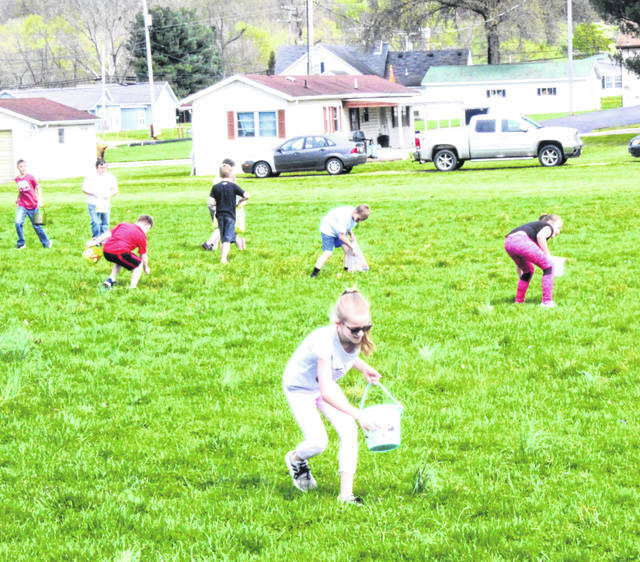 https://www.mydailysentinel.com/wp-content/uploads/sites/14/2019/04/web1_4.16-Egg-Hunt-19_ne201941417215181.jpgThe 5-8 age group hunts eggs during the annual Easter Egg Hunt at the Racine Library. https://www.mydailysentinel.com/wp-content/uploads/sites/14/2019/04/web1_4.16-Egg-Hunt-20_ne201941417218249.jpgThe 9-12 group hunts eggs during the annual Easter Egg Hunt at the Racine Library. 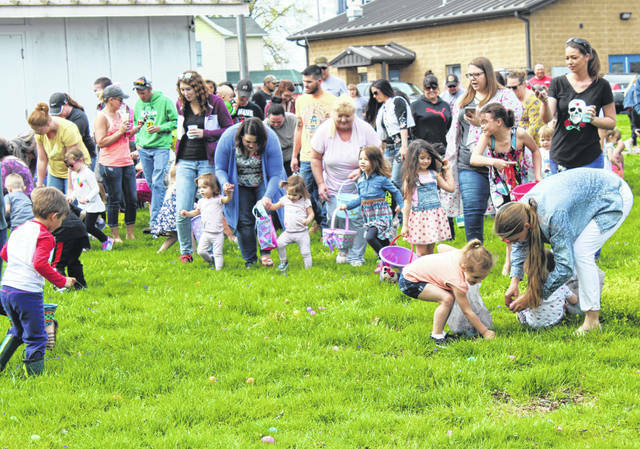 https://www.mydailysentinel.com/wp-content/uploads/sites/14/2019/04/web1_4.16-Egg-Hunt-21_ne201941417220400.jpgThe 5-8 age group waits for their turn to hunt eggs. 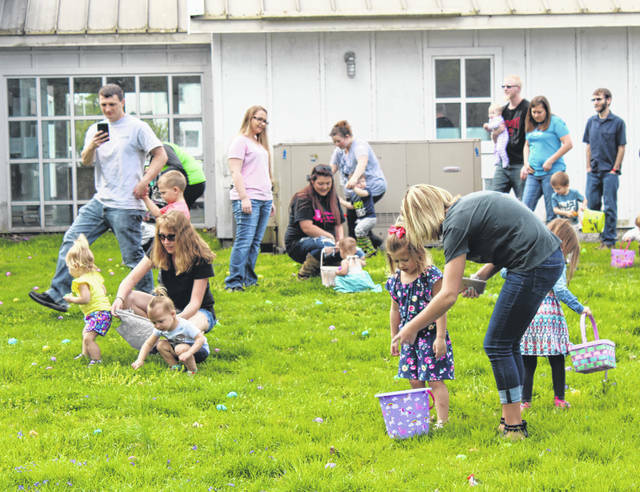 https://www.mydailysentinel.com/wp-content/uploads/sites/14/2019/04/web1_4.16-Egg-Hunt-22_ne201941417222521.jpgThe 9-12 group hunts eggs during the annual Easter Egg Hunt at the Racine Library.